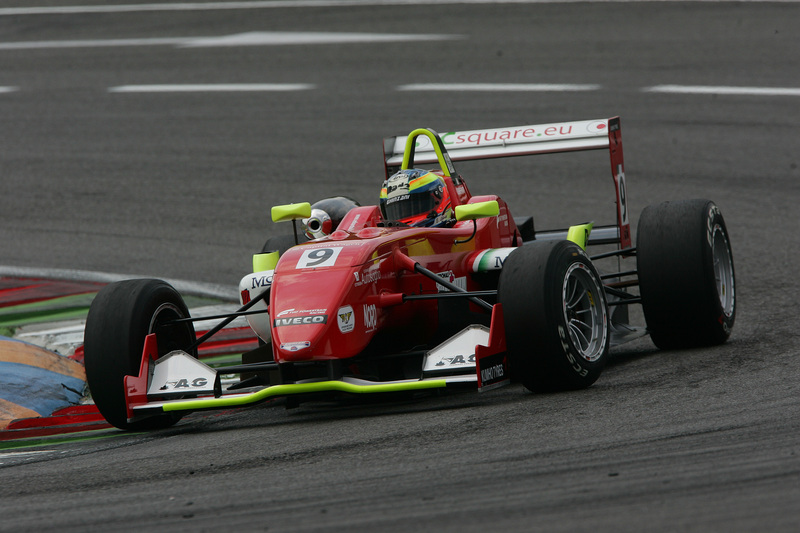 14/05/2011 - Edoardo Liberati is the first poleman of the Italian Formula 3 Championship 2011. Thanks to a laptime of 1’04.609, with an average speed of 140.358 km/h, the 18 years old driving for Team Ghinzani started his third season in the category with the top position on the grid of the race celebrating at Franciacorta's circuit the 46th edition of the tricolored series. Sergio Campana and Lello Marciello were the only drivers below the wall of 1'05'' and challenged Liberati until the end. The driver for BVM-Target managed to get on top of the classification topping Liberati with just 5 minutes to the end of the session but while Team Ghinzani's driver managed to improve his time setting the pole, Campana stopped watches at 65 thousands from the best lap. A car stalled in the trajectory in the last corners prevented Marciello from improving his performance in a lap that up to that point was faster than his best; this relegated him to a very good third place, first of the rookies. Fourth at the back of the Swiss driver pupil of the Ferrari Driver Academy was Kevin Giovesi (Lucidi Motors) 18 thousands ahead his team mate Eddie Cheever, who was also the second of the rookies right ahead of Michael Lewis (Prema Powerteam), the French Brandon Maisano (BVM-Target), the Brazilian Victor Guerin (Lucidi Motors), the French Maxime Jousse (BVM-Target) and the Argentine Facu Regalia (Team Ghinzani) closing the Top-10. Only eleventh was one of the protagonists to be fighting for top positions, Daniel Mancinelli (RP Motorsport), 630 thousands from the pole position proceeding Simone Iaquinta (Downforce Competition) and the Finn Jesse Krohn (RP Motorsport). Remarkable was also the performance improvement by Federico Vecchi (LineRace-CO2) who, after being more than two seconds from the leader in free practice, in qualifying managed to set the 15th time 1.3'' from the pace setter paying just three tenths to more experienced drivers like Andrea Roda (Prema Powerteam), who qualified 14th. The sixteenth place of the grid was obtained by Luca Spiga, driving the only Mygale present for GTR Racing. The appointment is now for tomorrow with race one starting at 10.00 (GMT+2) and race 2 at 17.00, live on RaiSportDue.